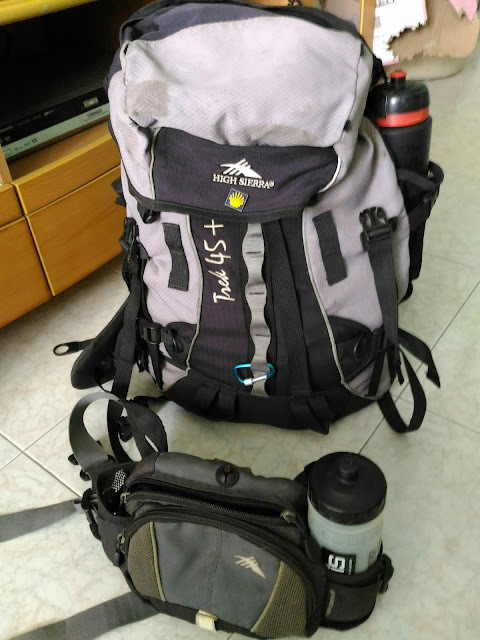 My Camino de Santiago: Camino del Madrid - All packed! Camino del Madrid - All packed! 6 kg dry weight. I supposed no more than 8k walking weight with 1.5 liter water and provisions. Light enough I don't need to check it in and don't require a walking pole or boots (light hiking shoes).